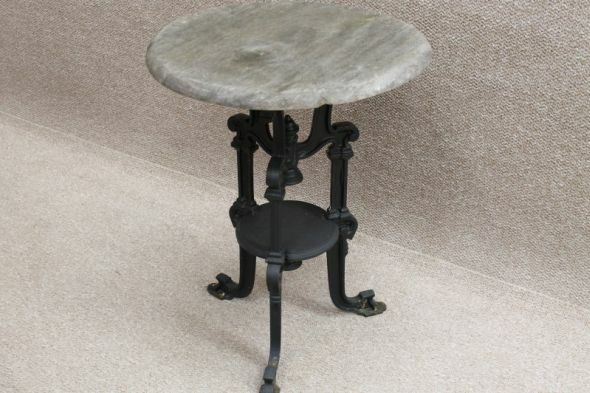 A fine example of a traditional Victorian cast iron pub table. This table is in good condition, and has an attractive washed out grey oak top. This item would make a lovely garden feature. This is one of two tables that we are currently selling.